The 2015 edition Toronto Magazine highlights the city’s neighbourhoods, shopping destinations, and cultural sectors, and is now available for free online and in print. 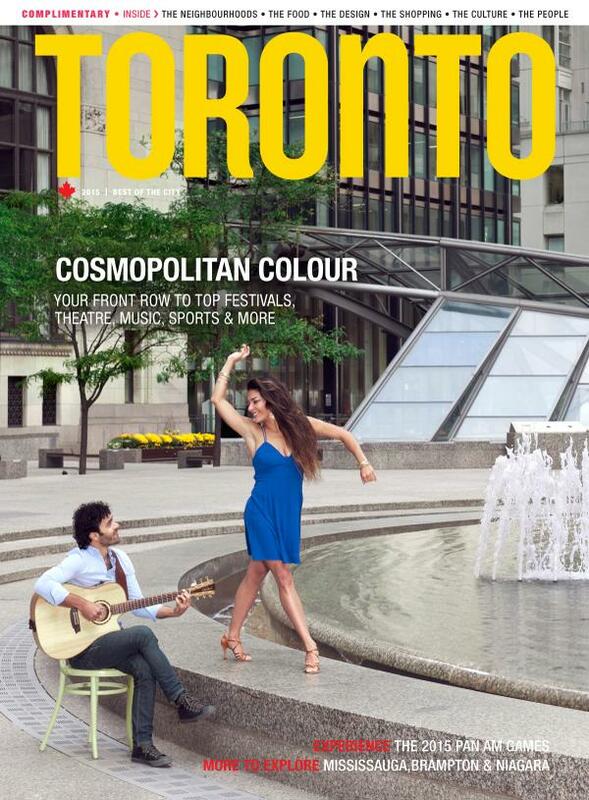 The theme for this year’s magazine is “Cosmopolitan Colour” and profiles the city’s top festivals, theatre, sports and restaurants. We’re thrilled once again to see Toronto’s music scene featured with a lengthy spread of some of the city’s top music offerings. Titled “Beat Seekers” (beginning on page 44), author James Noguchi focuses on some of Toronto’s premiere music festivals, concert halls, nightclubs and intimate venues as part of the magazine’s “City Confidential” profile series. 4479 is honoured to be mentioned and featured alongside trackToronto, the local interactive project which collects and maps songs about Toronto. Toronto Magazine is an excellent resource for visitors of the city and we thank Tourism Toronto for including our campaign in their publication!